We pride ourselves on the ability provide a house and services to brothers through the process of paying dues. However, the contributions of alumni and parents are extremely important to us. To this end, we have set up the Projects Fund to accept donations via PayPal, the most widely used secure payment gateway. Sigma Nu Projects Fund: The High Street Housing Corporation established the Sigma Nu Projects Fund as a 501(c)(3) entity exclusively for upkeep and improvement of our house at 37 High Street. This Fund is used to facilitate renovations and general improvements to the house and is not for social allocations. In the past, donations to the Fund have gone towards new locks, new doors, floor and kitchen renovations, basement renovation and improved bathrooms. Donations Wall: The brick wall in the basement is up and looks great. 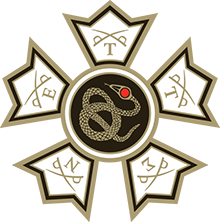 It contains the names and positions of both current and past members who have donated to the fraternity. If you are interested in seeing pictures or are interested in purchasing a brick, please contact us. A contribution with a Brick request is suggested to be at least $500 with a minimum of $250 to cover the cost of the Brick, engraving and installation. On behalf of all the brothers, thank you for your consideration.